industry clients and more throughout New Zealand, Australia and globally. Averaging 80 to 90 events per year, from single-day engagements to week-long conferences, Greg is arguably the most experienced conference and event moderator in the country. Greg's passion is in tailoring his services to your specific requirement, as well as offering expert assistance in the creation and run of your programme to achieve the maximum delegate buy-in and take-home value. For a versatile, professional MC, a humorous speaker, a top-rating corporate entertainer – or a combination of all three, choose Greg Ward. "...It was such a gr﻿eat event and a perfect opportunity to see you in action. I must say, given that I am Lebanese and speak Arabic, I was blown away by your perfect articulation and pronunciation of all the names/terms in Arabic - as were everyone else there that night. "...You have a wonderful, energising presence on-stage, and a calming influence off-stage. I thoroughly enjoyed working with you. 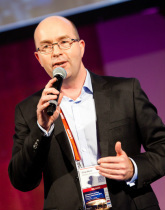 Greg Ward is a master facilitator, a highly-experienced conference and awards MC and a diligent and incisive interviewer. Equally at home with heads of state or industry insiders, Greg's input makes the running of your conference a fresh and stress-reducing experience. More. The smoother the event, the greater the take-home value. Greg is an expert crowd-reader, and a life-long student of human group dynamics. Every event Greg takes on sees him become an ad-hoc member of your staff. For a service beyond the ordinary...More. Greg transitions smoothly between multiple roles for his wide range of clients. His career has led to a diverse range of highly specific skills, and he has honed each aspect to an expert level. A veritable orchestra contained within a single instrumentalist... More.